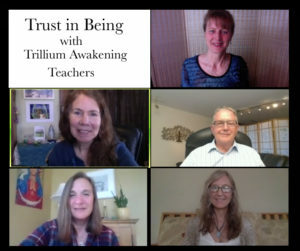 In response to a student’s question “What do you mean by ‘trust in being?’ Margit Bantowsky, a Trillium Awakening Interning Teacher from Olympia, Washington, began an inquiry into the subject that blossomed into two video-recorded panel discussions with seven Trillium Awakening teachers. 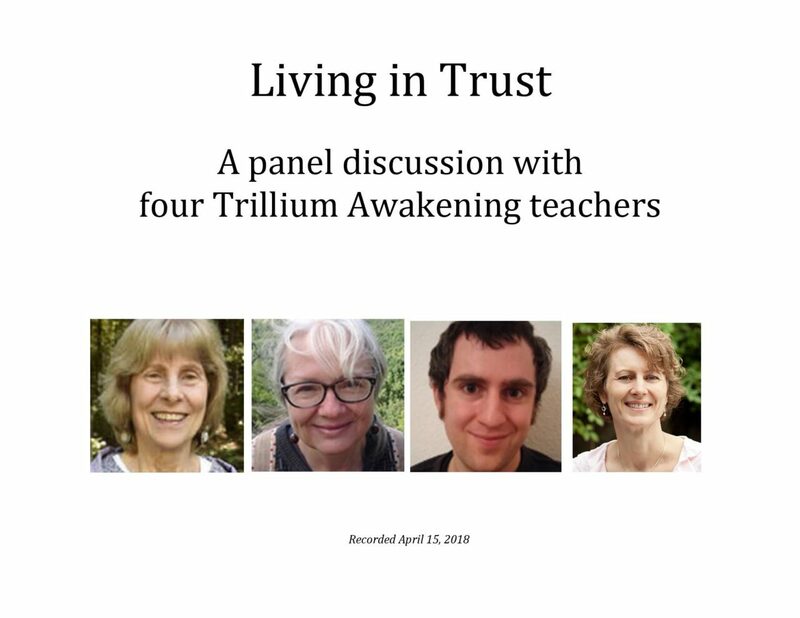 The first panel called “Awakening in Trust” focuses on how trust emerges in the realization process, the interplay between consciousness and embodiment in the development of trust, and some of the markers that indicate an integration of this orientation into life. 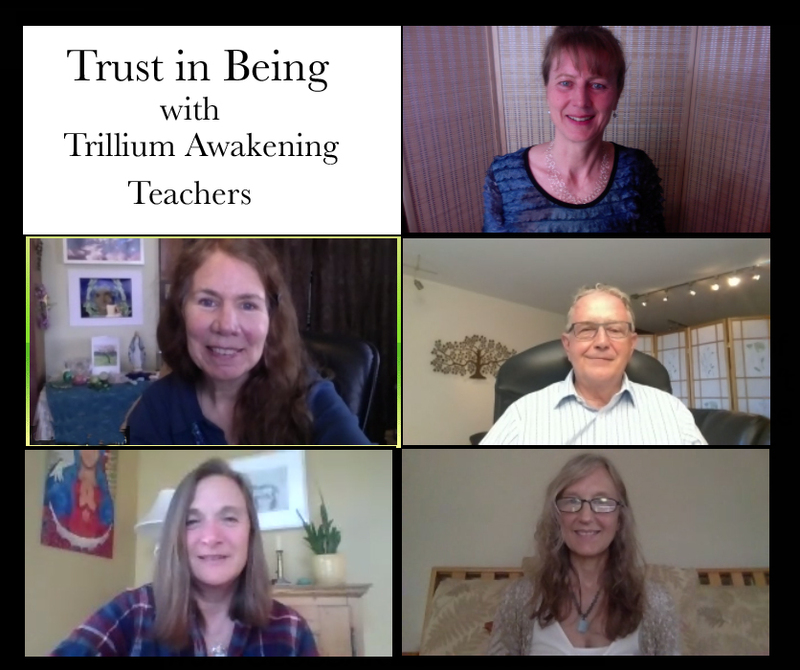 This panel consists of Cielle Backstrom, Rod Taylor, Gena Netten and Subhaga Crystal Bacon. 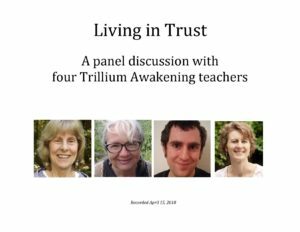 The second panel discussion “Living in Trust” explores how we navigate life, make decisions, and develop the capacity to engage the world from this fundamental state of being. Panelists include Sandra Glickman, Elijah Peterson and Laura Wittke. Both panels are moderated by Margit.